The stock bumper of your 4x4 isn’t up for the challenge when you go off-road. The Tembo 4x4 winch bumper is the perfect and strong replacement. It protects your car, improves the approach angle and gives an excellent and tough look. Strength and low weight were our starting points when we made the design for the Tembo 4x4 winch bumper. The special box-shape resists impact, is efficient and light weight. Use it to mount your favourite winch and extra lights, which are well protected from the hazards of off-road use. Read all about the Tembo 4x4 winch bumper in our weblog! Your adventure starts with the Tembo 4x4 roof rack. It allows you to carry those must-have items on top of your vehicle, offers space for a rooftop tent or spare tire. The Tembo 4x4 roof rack is ready to take on the world! Lightweight and strong aluminium profiles make the Tembo 4x4 roof rack one of the strongest roof racks available. The special made supports allow you to attach it securely to your vehicle. 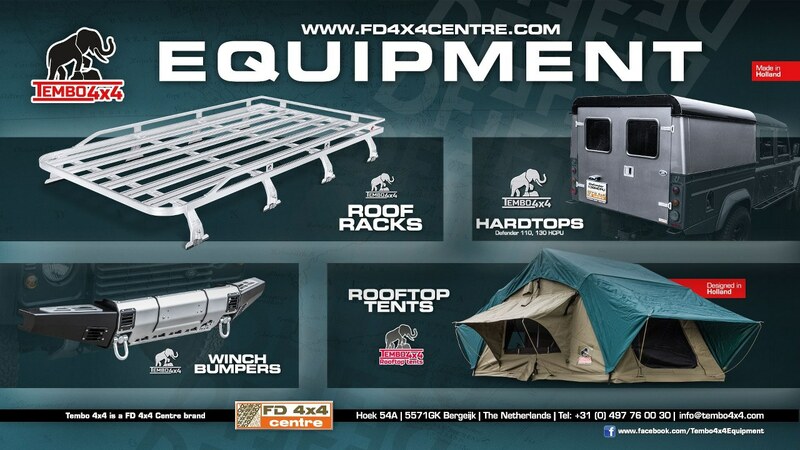 We have added all our experience into the design and production, so you can be sure your roof rack is up for the task. 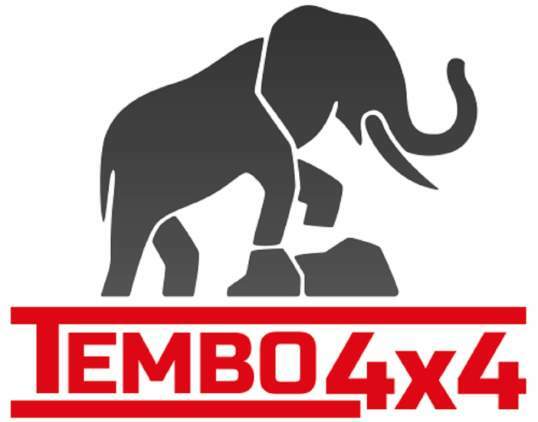 Read all about the Tembo 4x4 roof rack in our weblog! 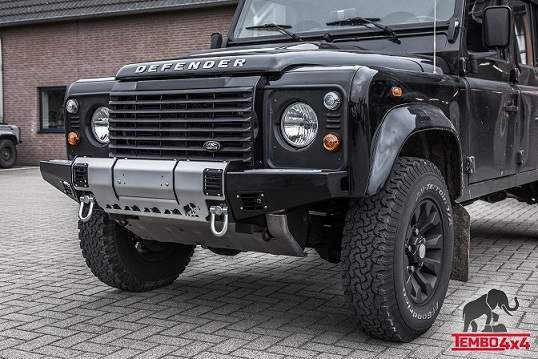 The Tembo 4x4 hardtop is designed for the Land Rover Defender and produced in Bergeijk. Our goal was to create a hardtop that adds quality to your vehicle. It matches the original design and is strong enough for work and adventure, wherever you want to go. Building on the success of the original hardtop we have expanded the range of the Tembo 4x4 hardtop for pickups such as the new Toyota Hilux and the Volkswagen Amarok. As we produce the hardtops in-house we can easily tailor them to your needs. A bespoke interior, hatches, windows and toolboxes - everything needed for a wide range of purposes ranging from sport to utilities. 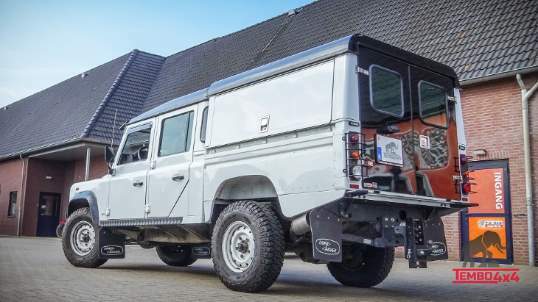 Read all about it in the weblog on the the Tembo 4x4 hardtop for the Land Rover Defender and discover the special hardtops made for the modern pickups. There is no place like home.. except perhaps your Tembo 4x4 rooftop tent. Find a beautiful spot, set up your tent and within 5 minutes the hotelroom of your dreams is ready. There is no night like the nights you have in your Tembo 4x4 rooftop tent! The Tembo 4x4 rooftop tent has been produced to our high quality standards. It features strong waterproof canvas that allows for natural ventilation, high quality zippers and a comfortable mattress. The big windows give you an excellent view, while the mosquito nets keep the unwanted guests outside. Our special ventilation system gives you full control over the temperature inside the tent. Read all about it in our weblog!